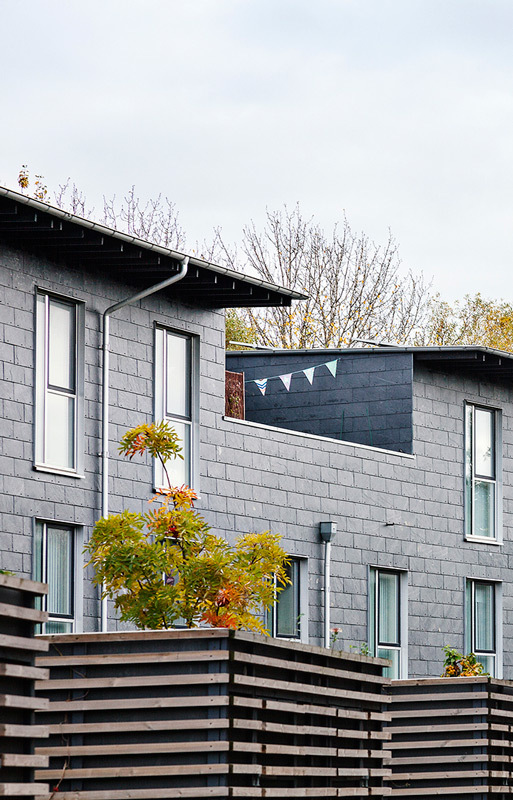 Cost of construction max: The construction costs have a 7% reduction compared to average social housing in Denmark. A long range of strategies kept costs down, a.o. turnkey contracting tendered as architectural competition was used to balance price and quality. 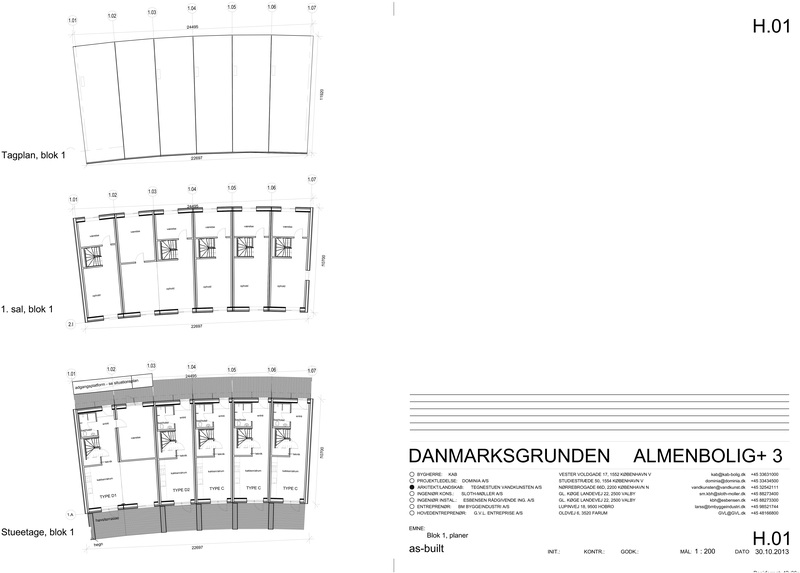 Rental/sale cost compared to market price: The concept brings down rents with 22% compared to average social housing in DK and has a more liberal landlord regime with improved tenants´ right of disposal, like putting up interior walls and upgrading kitchens. Costs are reimbursed at vacating. Rules of allocation: The rule of allocation is a waiting list open to all. The OHP-program differs from traditional social housing by requiring at least one person in the household to be self-supporting by a steady income from a job or pension. 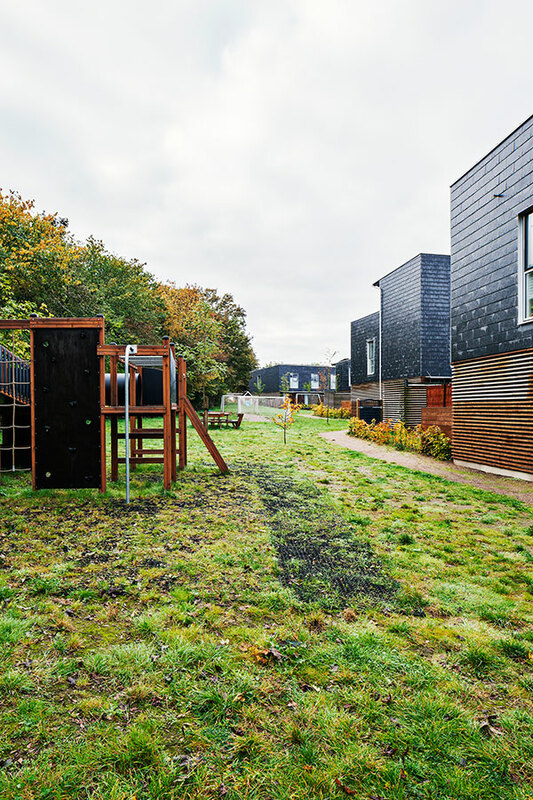 Community accompaniment in the life of the building: Applicants for a residence must declare their willingness to participate in the maintenance of buildings and its open spaces, e.g. mowing, pruning, oiling window fittings, cleaning gutters, shovelling snow etc. 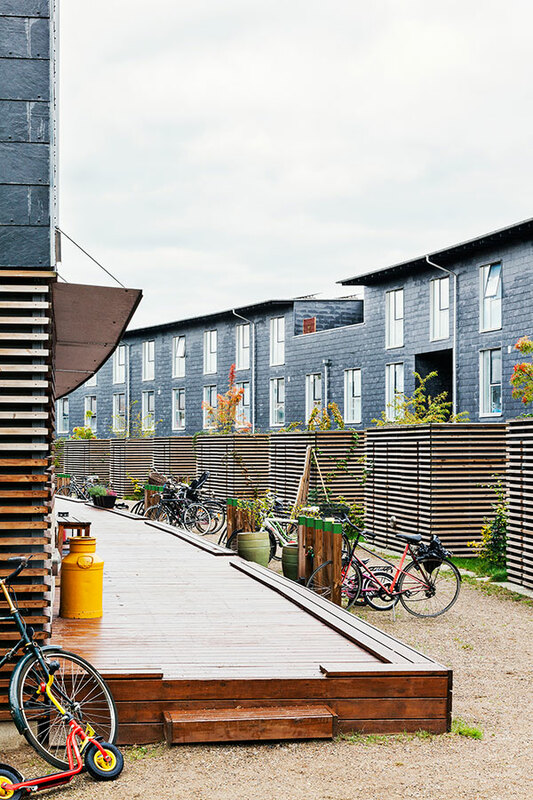 Functional mixitè: There is no functional mix, Danmarkshusene are solely residential. 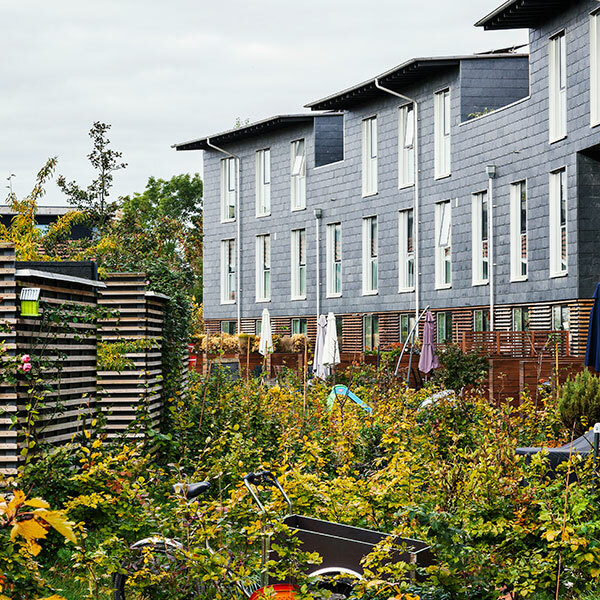 Common spaces and shared living: To keep costs down, there are almost no common spaces. But common entry ways and other spaces are designed to invite people to stay and meet. 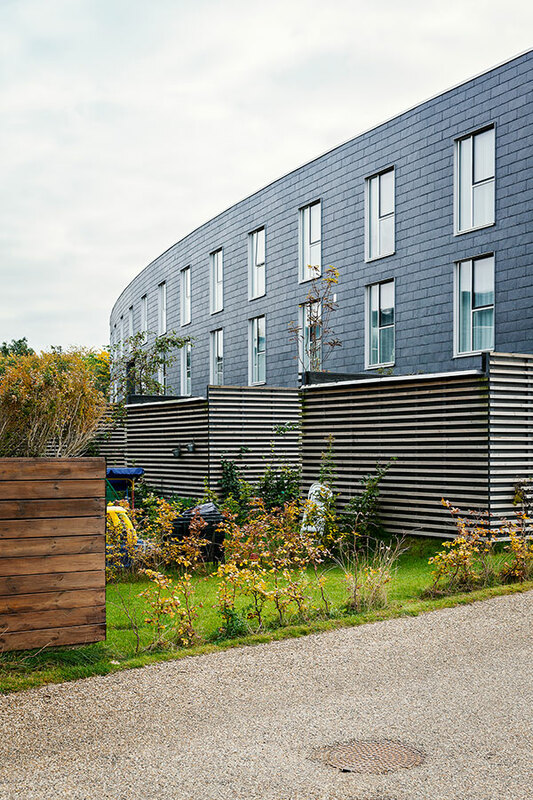 The shared maintenance of the property also has a significant positive effect on the sense of community. 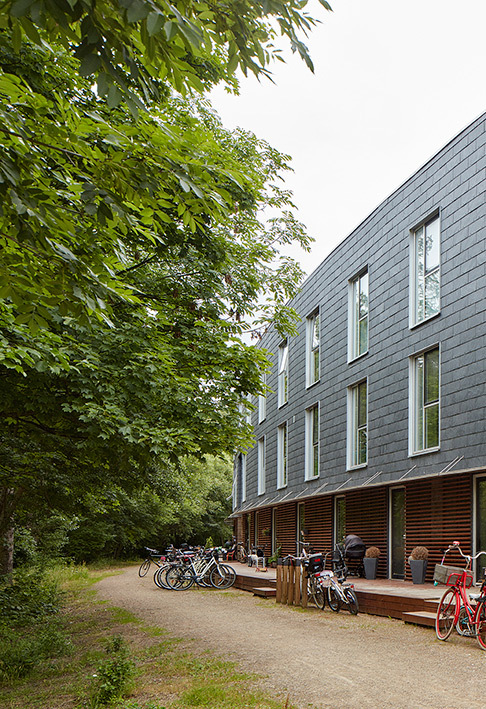 Techniques and strategies for environmental saving: Wood is the main loadbearing construction and a lightweight built-up structure and slate-cladded façades equals a low GWP-impact. 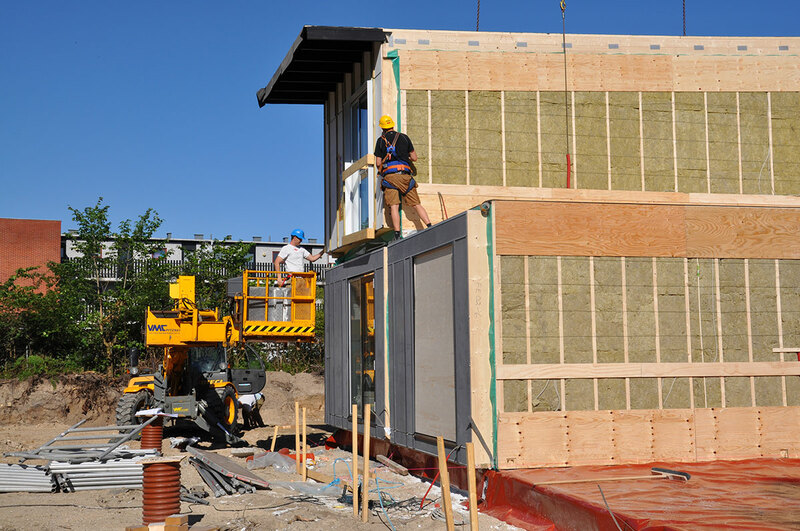 Passive House principles (insulation, air-tightness, heat-recovery ventilation) keeps energy consumption at a minimum. 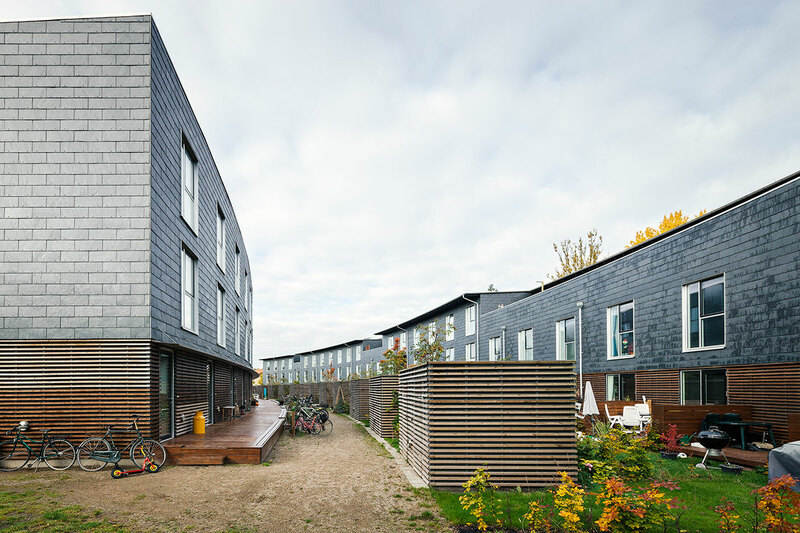 Danmarkshusene is part of the OrdinaryHousing-Plus program1, which brings down rents with strategies of prefabrication, DIY and increased autonomy for the residents. 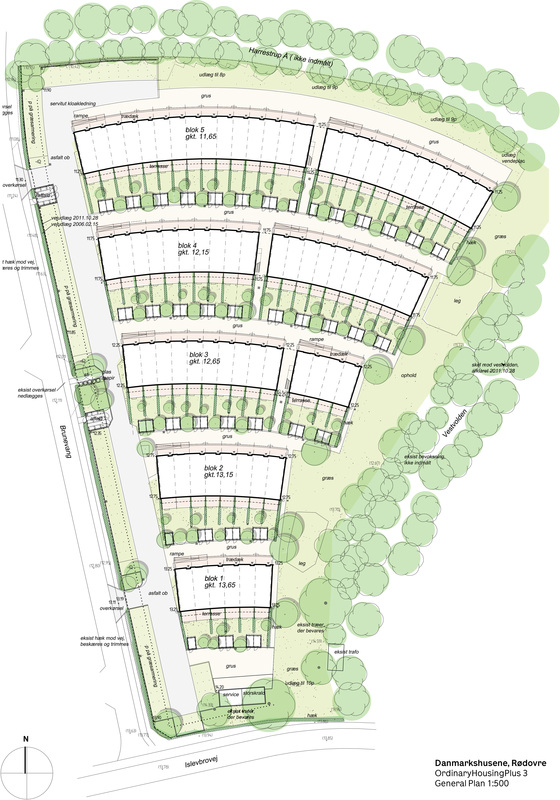 The wedge-shaped site inspired the idea of making wedge-shaped units. The crescent endows the passages between the blocks with the experience of space rather than passageway since one cannot see from the one end to the other. 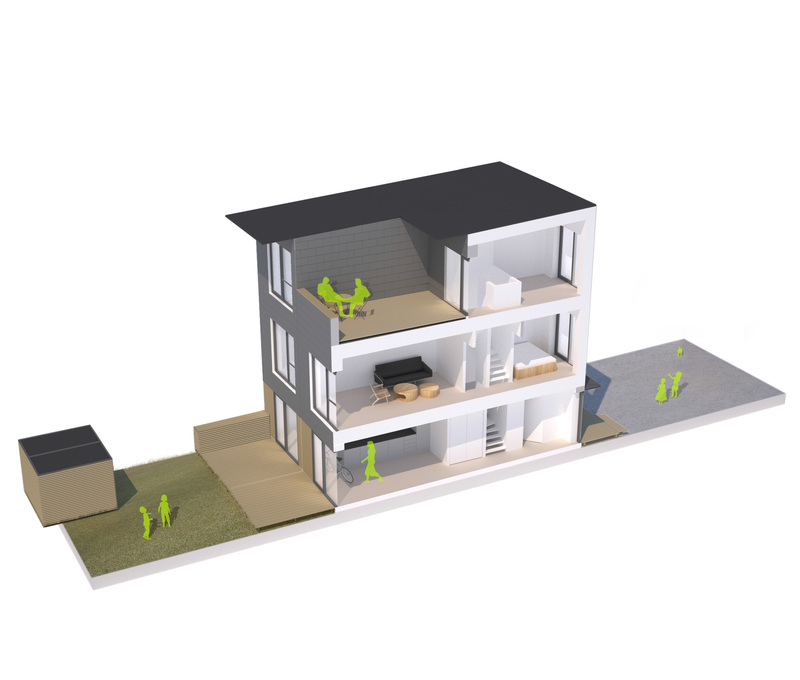 Expensive elevators and stairwells are avoided, resulting in three story row-houses as the prevalent typology. 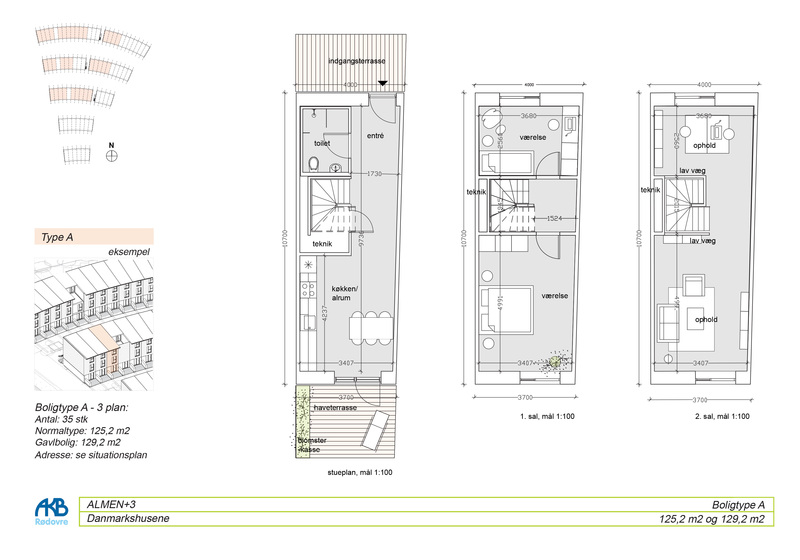 These plans are subdivided asymmetrically by an internal staircase, providing a small and a large room on each floor. Except for the kitchen, no rooms are dedicated to specific functions. The total primary energy demand for water, room heating and electricity2 is calculated at 31,6kWh/m2a3. 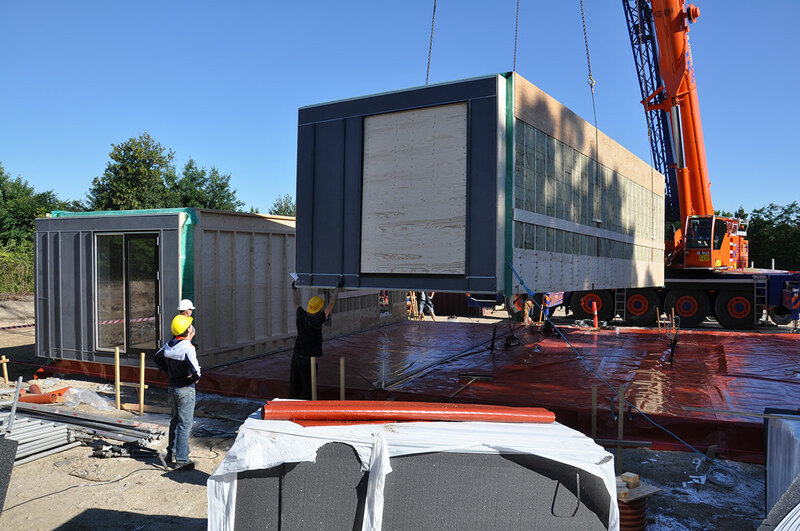 The buildings are highly insulated and airtight with heat-pumps for room and water-heating. Part of the demanded electricity is generated with PV-panels. 3 The energy demand is calculated based on the total gross floor area. The Danish Low-energy-class 2015 sets a maximum of 36,5 kW/m2/year. 5 Based on a Life Cycle Assessment over 120 years construction costs6, lifecycle costs are lower than those of the reference building, even though concrete and brick have longer service lives and are almost maintenance free. 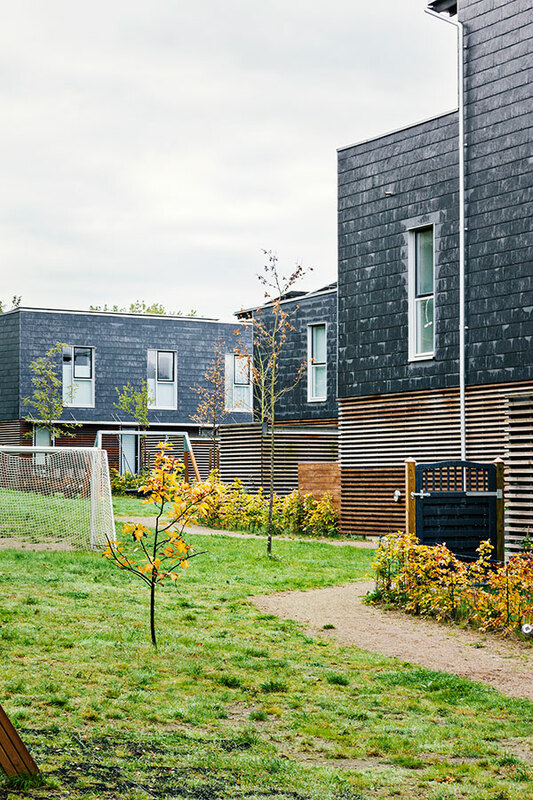 The dwelling types are similar to pricy popular terraced houses, this may explain the high level of satisfaction by the tenants, who are offered the residences for less than 80% of the rent for average social housing. The first-year vacating ratio of 5% is exceptionally low compared to the average 40%.